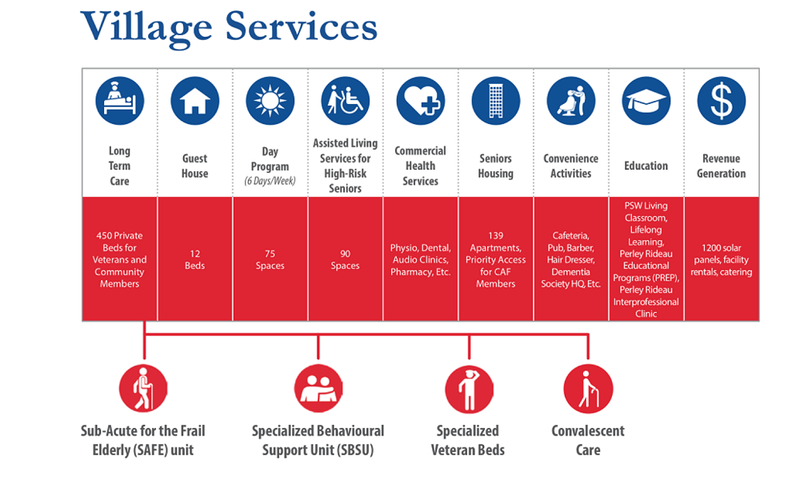 The Perley and Rideau Veterans' Health Centre provides assistance to men and women with physical and/or cognitive impairments of varying degrees. An individualized care plan is developed for each resident by the medical and nursing staff and the resident and family. The plan is monitored and adjusted as needs and circumstances change. Perley Rideau's long term care has received an Accredited with Exemplary Status from Accreditation Canada. We have a number of short stay programs to fit differing needs of those residing at home or in one of the specially designed apartments on the Perley Rideau premises.